Since joining his father's firm, Riley Beam has helped take on some of the biggest personal injury, civil, and criminal cases at the firm. Riley follows in the tradition of the firm and believes in taking cases to trial. His work has always been for the common man and is built in a rich history of standing up against large institutions who prey on those who are not represented. Riley's first trial was historic for the firm and record-breaking for Brevard County. Working alongside a team of talented lawyers, Riley helped land a $28,500,000 million verdict. Since then, he has been instrumental in securing positive results for clients in personal injury and criminal defense law. Riley's work is focused in motor vehicle collisions, civil rights, trucking, premises liability, slip/trip and falls, negligent security, nursing home negligence, medical malpractice, and many other personal injury incidents where clients have suffered paralyzation, brain injuries, life-long physical and emotional injuries, or death. Riley attended the University of Florida during their historic championship runs and graduated with a B.A. in Advertising. After graduating, Riley went directly to Florida International University College of Law, a top 100 law school in the nation. Riley has continued his involvement in the community in various neighborhood sports leagues, support for local high school athletic programs, the Vassar B. Carlton Inn of Court, American Association for Justice, the Florida Justice Association, and the American Diabetes Association. He has been published in the Florida Justice Association Journal regarding damages in personal injury cases, has given presentations at the Workhorse Seminar on the topic of personal injury and the Vassar B. Carlton Inn of Court on the topics professionalism and burdens of proof. 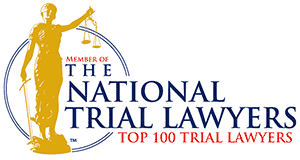 Riley was named a Top 100 Trial Lawyer in 2013, 2014, 2015, 2016, and 2017 by The National Trial Lawyers. He currently lives in Melbourne, Florida and has been happily married to his wife since 2013.